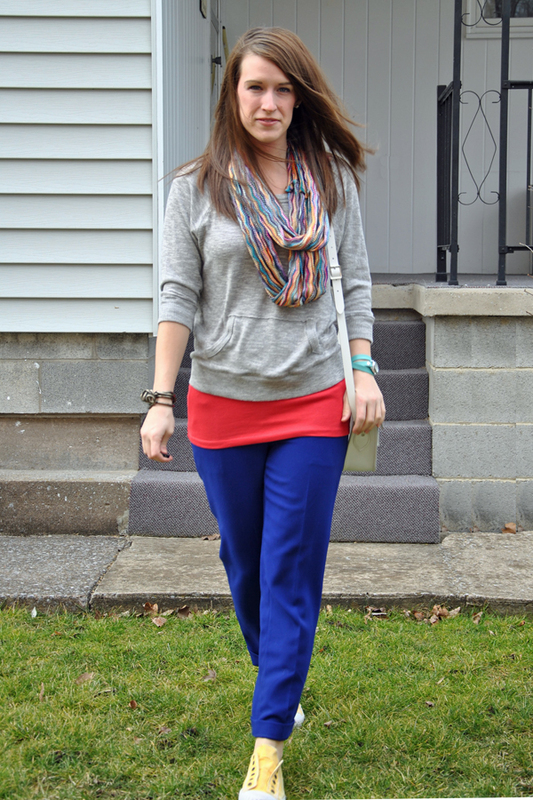 Can you tell I love these LOFT pants? You've seen me wear them dressy (HERE), work chic (here) and now this week I bring you my more causal look with some extra pops of color. I'm completely in love with the colors that are coming out for Spring. Coral, aqua, royal blue, yellow, grass green, bright purple! My color gauge is going crazy and falling in love! This coral tank top from target is a great basic piece that I can layer under or over other tops. I'm going to have to go back and grab a few more in other colors considering how often I wear tank tops and especially since they are on sale this week for $7! 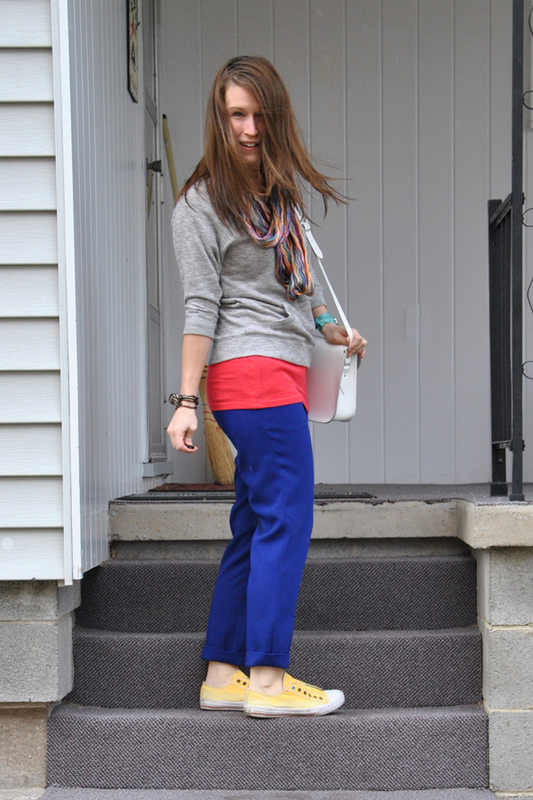 Are you loving the colors this spring? 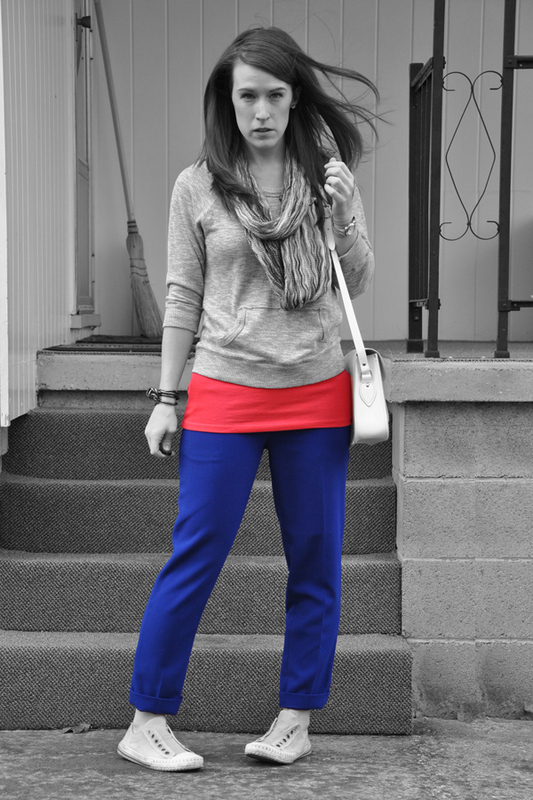 I would never have thought to wear these pants with tennis shoes...I haven't even worn mine with flats yet! 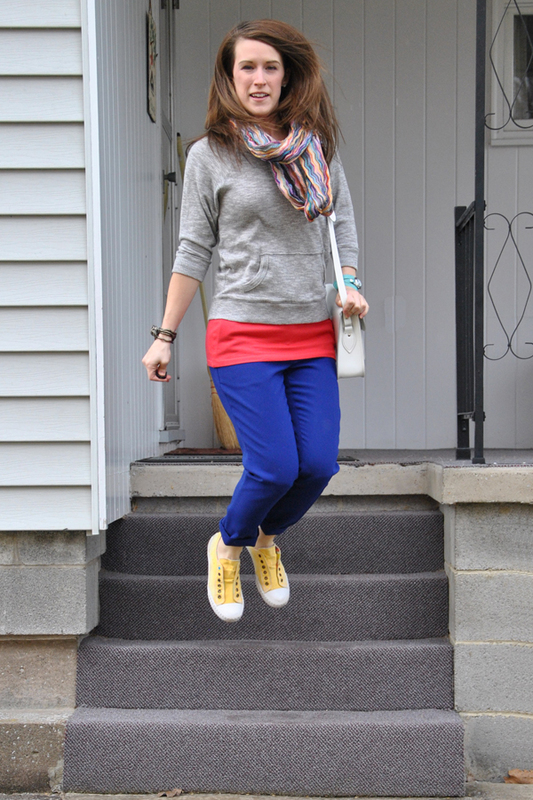 But, I love the pops of color & how you made them more casual - really must try! Thanks! I'm so in love with these pants that I'm trying them on with everything :) This outfit was one of those- "I wonder what this will look like" moments. 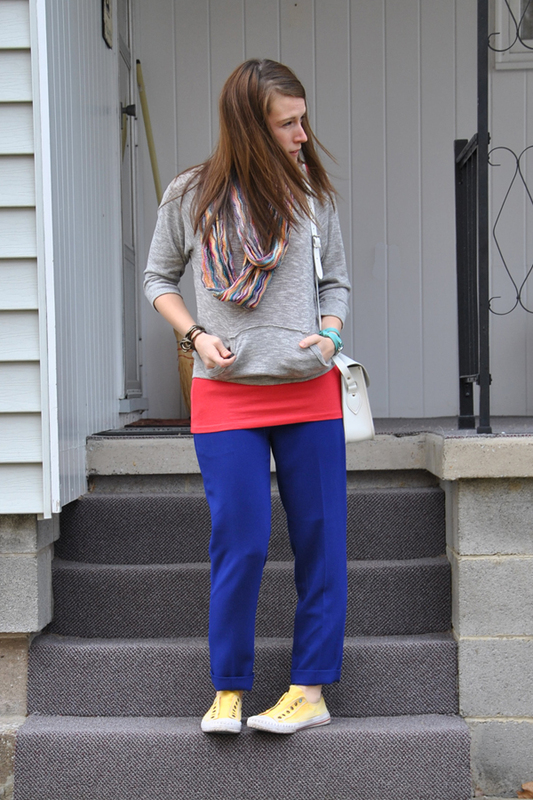 LOVE THOSE BLUE PANTS! And the watch! I'm in love with the colours that came out as well. Just bought a navy bag, teal pants and orange-red blouse. I'm super crushing on your watch! oh my! i love everything! 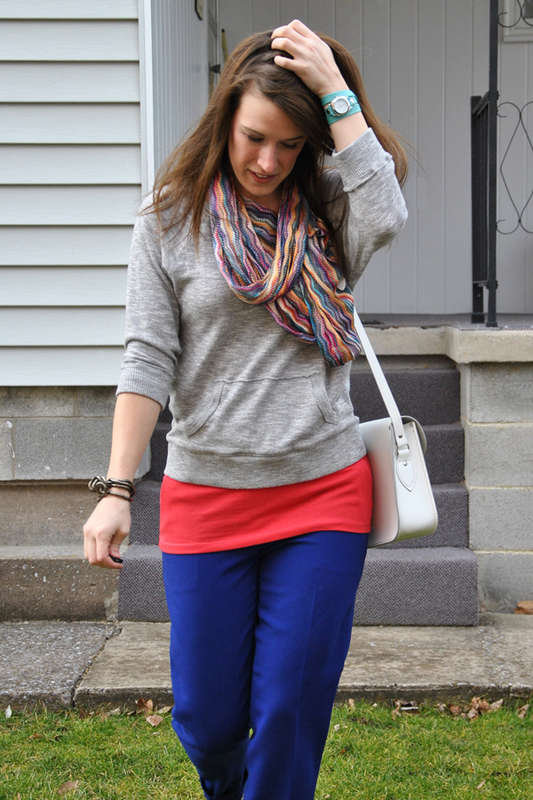 you really rocked color blocking!